A deliciously rich and chocolatey gift that hits all the right notes. 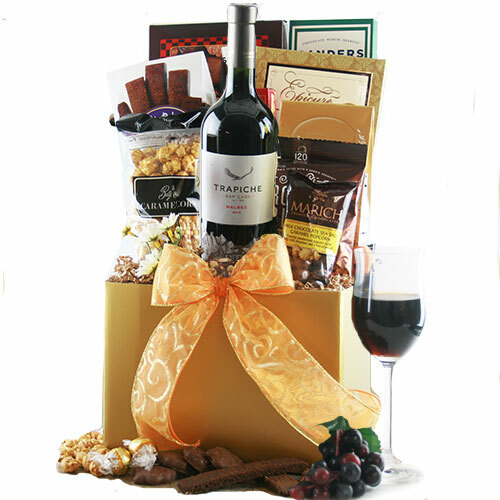 Full of decadent chocolate flavors that will impress even the most discerning palate as well as the most ardent wine lover. California, Colorado, Florida, Missouri, North Carolina, North Dakota, Nebraska, New Jersey, New Mexico, Ohio, Oregon, Texas, Washington, West Virginia, Wyoming, and District of Columbia. This gift includes alcohol and FedEx will require a signature from an adult in order to complete this delivery. Please choose the wines that you wish to include with your gift from the choices below. Be sure to make the indicated number of selections!